After last week with 5 consecutive days of declines which put the current rally in question, the market had a solid up day on Monday. This morning, stock futures are modestly higher. We had 2 breakouts yesterday. 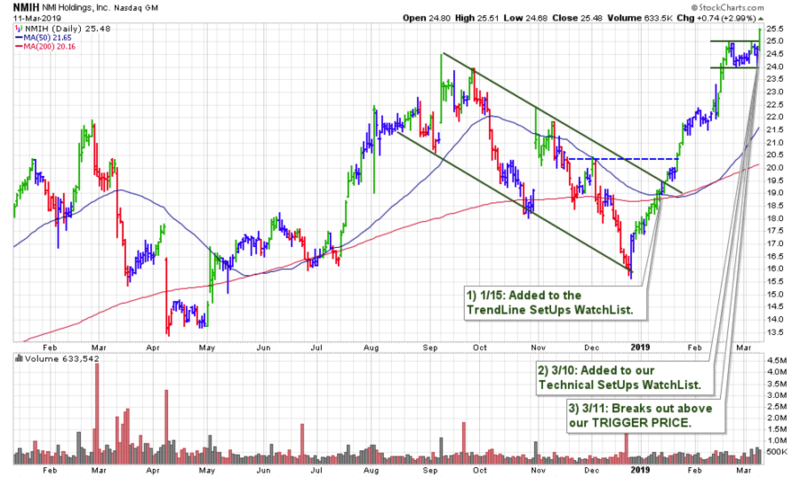 There was a breakout in TRTX from our TrendLine SetUps WatchList. We also had NMIH which was just added to our Technical SetUps WatchList on Sunday. 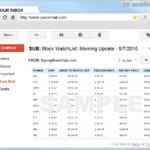 Shares broke out Monday morning in fine fashion, with a volume-backed advance as the stock cleared our posted TRIGGER PRICE of $25.07 by 11 AM. Going forward, of course, any above average volume declines would be the first concern. Initial support is the highs of the previous base at the round-$25. A break down below there would be a technical violation. 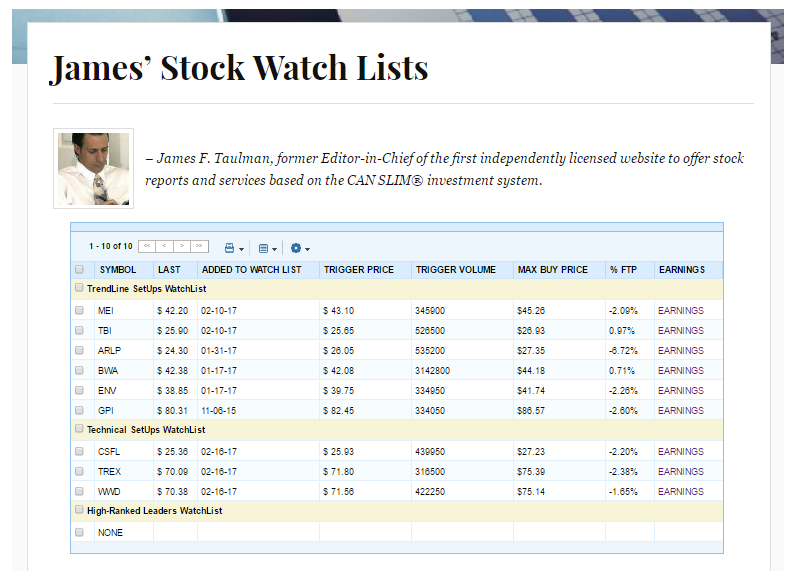 I ran my routine stock screens this morning, yet did not add any new stocks to our watch lists. 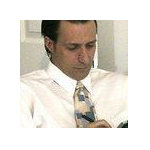 With the breakouts in NMIH and TRTX, we now have 20 stocks on our watch lists. – see here.